One of the reasons I love watching ABC is the relateable family comedy. 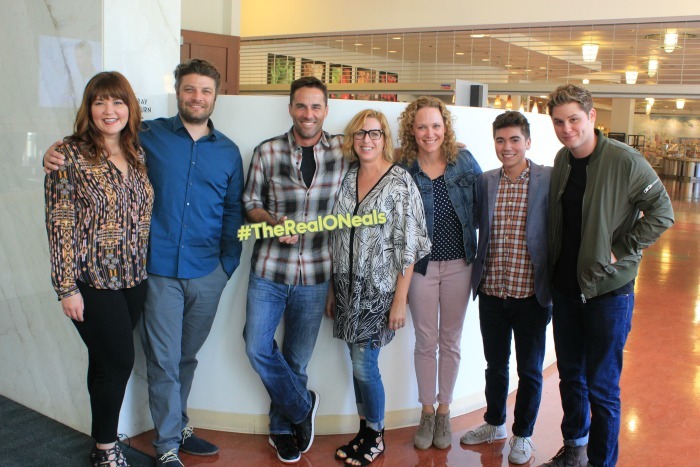 From The Middle, to Modern Family, and now The Real O’Neals. 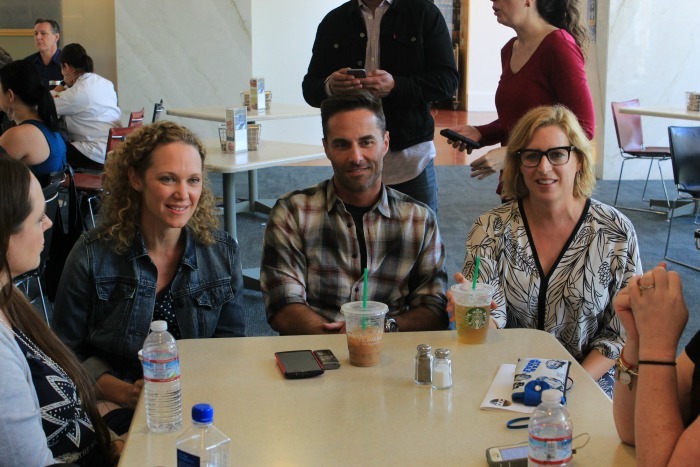 I haven’t missed an episode of what is a hilariously geniune look at family, and last week we gathered in the ABC cafeteria to chat with some of the cast of The Real O’Neals that airs at 8:30 PM ET on ABC every Tuesday! 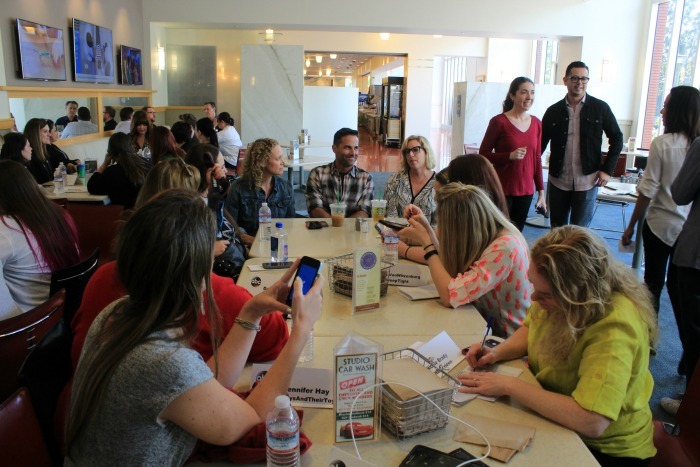 Sitting in groups of 6 around lunch room style tables, we chatted like old friends with Noah Galvin (“Kenny”), Jay R. Ferguson (“Pat”), Matt Shively (“Jimmy”) and Mary Hollis Inboden (“Jodi”), and Executive Producers Casey Johnson, David Windsor, and Stacy Traub. You can bet there were as many laughs during the Q&A as there are during each episode of The Real O’Neals. 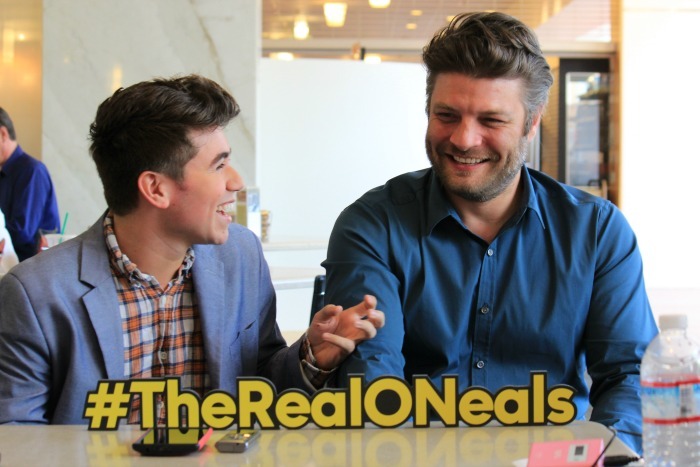 If you haven’t watched, The Real O’Neals follows a Catholic family with a gay son, another son who was an anorexic wrestling star, a klepto daughter who is wiser than her age, and parents who are getting divorced but dad still lives in the basement. Basically, a pretty normal family nowadays, but where did the idea of The Real O’Neals come from? Every episode of The Real O’Neals covers a real topic that families are facing. From their child coming out, to telling friends and family their marriage is over, to father and son bonding while camping. 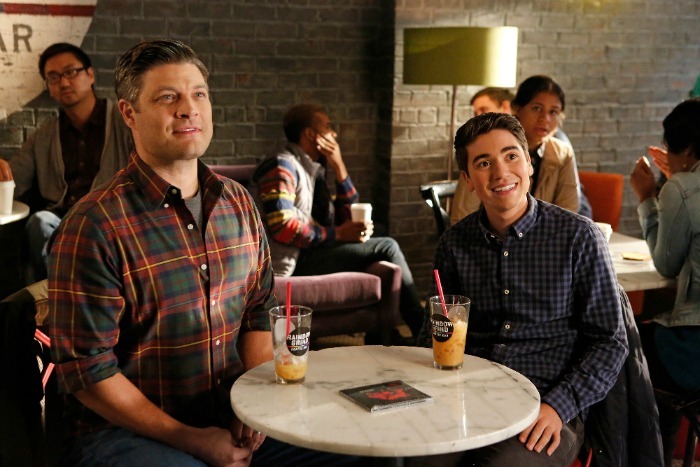 The Real O’Neals is relevant and entertaining, without being offensive. I have a 14 year old daughter and at least once every episode I think “that is totally a situation I have been in with my daughter!” I’m sure when my 10 year old son gets a few years older, I will be able to relate some of the Kenny and Jimmy stories to him. After all, some of these stories are coming straight from the crews lives. If you’ve been watching The Real O’Neals, you probably remember the ‘The Real Man’ episode the Stacy mentioned above. It is one of the funniest episodes, right after the Gay Toilet Cake scene, and became even funnier when I heard the story behind the Boy Battle that opens the episode. 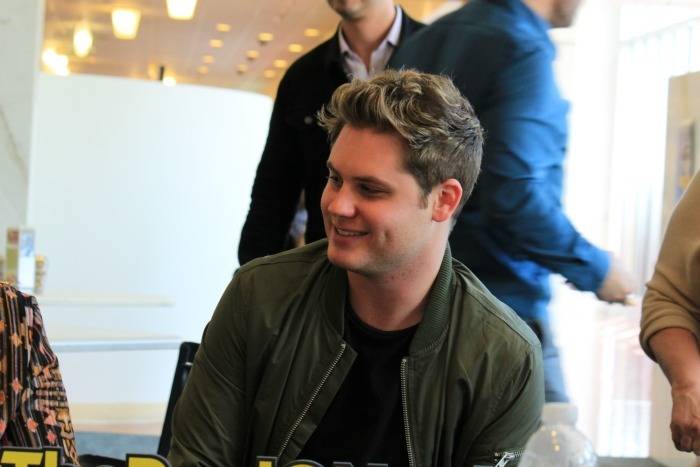 Now you know we couldn’t talk to Matt Shively without talking about Jimmy’s hair. Or should I say helmet….man I’m laughing all over again! 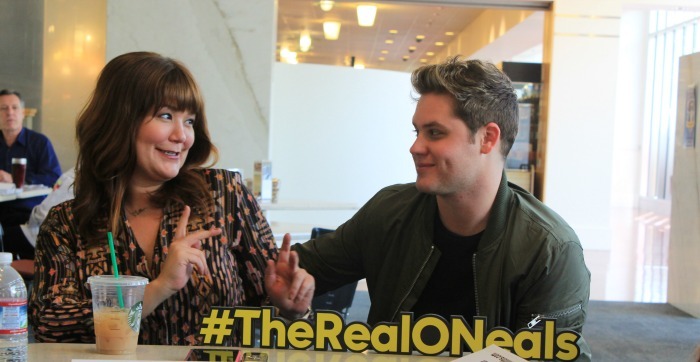 Seriously, Matt Shively is one hilarious human being in general. In case you are like me and wonder if the hilarious Matt Shively has ever done any ad libs on the show, I got the answer! I’m no good at ad lib, but I am good at eating cake! 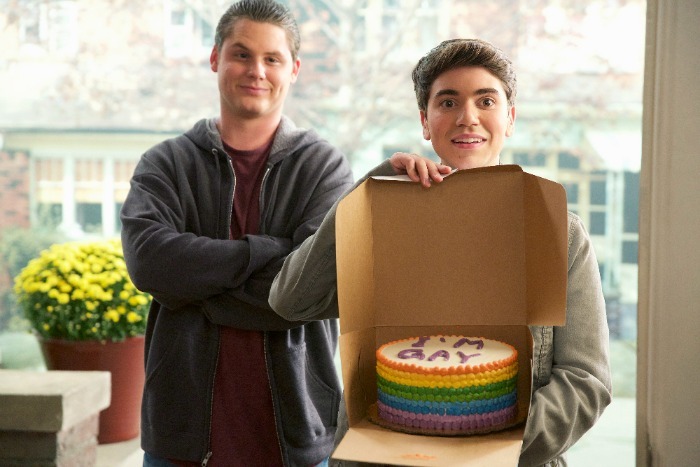 😀 Ever since watching “The Real Grandma” episode of The Real O’Neals, I can’t stop talking about Gay Toilet Cake. Not only was it SO SO funny, it also looked like one delicious cake masterpiece. I tortured myself by asking Noah about said cake. 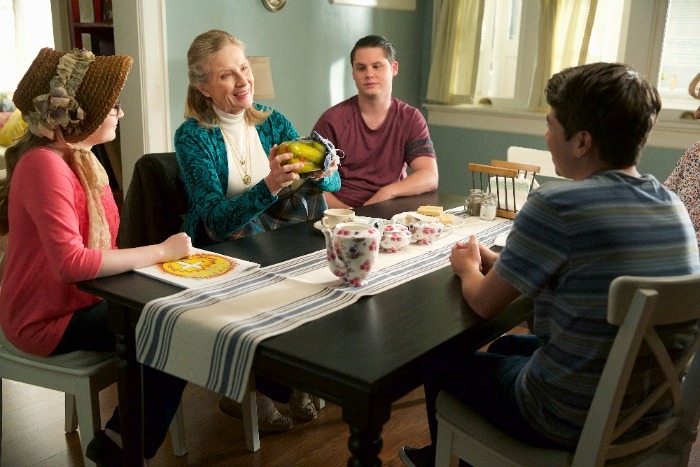 Another one of my favorite scenes of The Real O’Neals is also in “The Real Grandma” episode. Seriously, that is one you have to watch if you haven’t. You will laugh so hard your face will hurt. The pickle scenes is the one I’m talking about, and it’s also a favorite of Jay R. Ferguson. 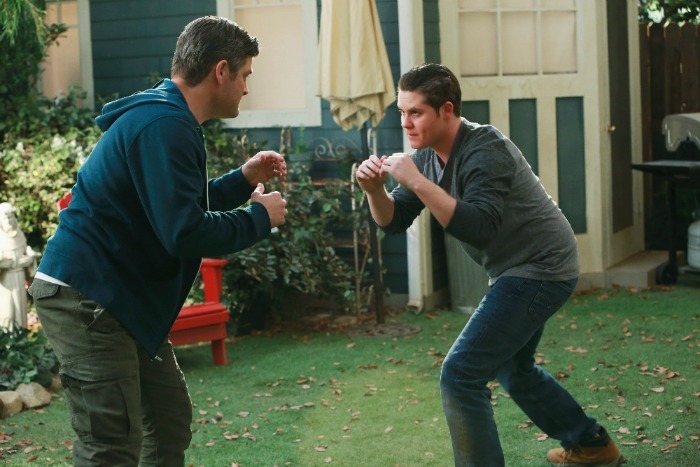 There are a million reasons to be watching The Real O’Neals on ABC at 8:30 PM ET on Tuesdays! I could go on and on but I will save the rest of the cast Q&A for my next post on May 3rd! 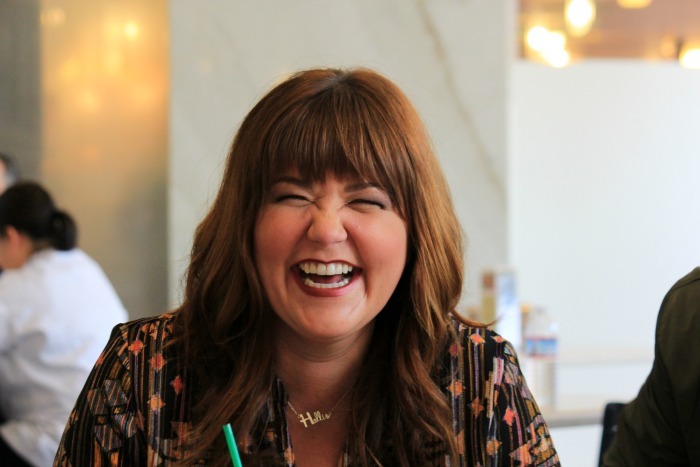 I will say that I got the chance to screen tonight’s episode while in LA and this is one moms don’t want to miss! The things that are said during the book club are on point and will have you gasping, laughing, and saying “Go Girl!” all at the same time! 😀 Then add into that Kenny and Pat’s first trip to the gayborhood, and you may have the best episode yet! 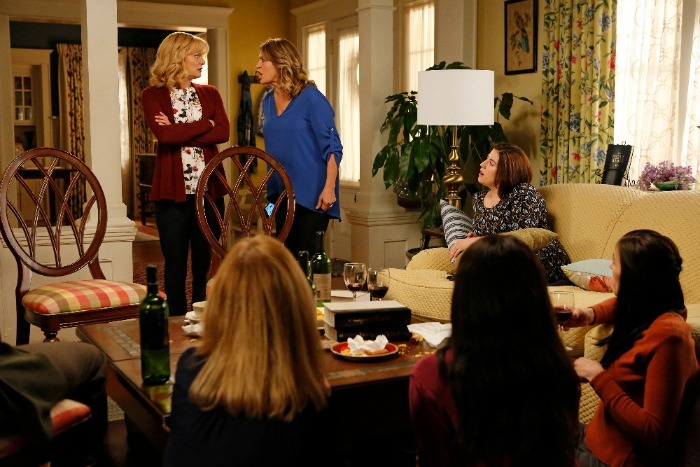 Tune into “The Real Book Club” episode of The Real O’Neals tonight on ABC tonight at 8:30 PM ET! I have not seen the show yet but looks like it would be a funny show. I’ll have to see when it is on by me and check it out. Either way I’m jealous that you got to meet them they look like they’re fun people to be around. Okay, I’ve heard so much about this television show so I must definitely have to check it out! It’s about time I get into a new series. This show looks like it could be pretty entertaining, I am going to have to check it out! Thanks for sharing some info about them, really made me laugh! This show has been discussed a lot on FB lately, it does look like a hilarious show, glad you were able to share some behind the scenes about them! The rainbow cake captured my attention. It looks like a cute cake to have. I would like to have this kind of cake for my birthday.